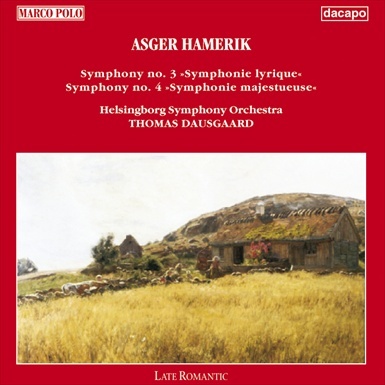 During his lifetime Asger Hamerik was the best known Danish composer after Niels W. Gade outside Denmark. He studied in Copenhagen with Gade and J.P.E. Hartmann, in Berling with Hans von Bülow and finally in 1864-69 in Paris with Hector Berlioz. In the years 1871-98 he worked in the USA as director of the consercatory of the Peabody Institute in Baltimore. His oeuvre includes four operas, seven symphonies and a series of Nordic Suites.